The goal of this campaign was to re-gain both the support of the Administration and Congress to keep the EPA BEACH Grant program funded through the federal budget. This grant program supports state and local beach water quality monitoring and public notification programs at beaches across the country. This funding is essential to protect public health for the millions of people who visit our nation's beaches every year and the multi-billion dollar coastal economies that they support. Fortunately, supporters of clean water at the beach in Congress were successful in saving funding for the BEACH Act for another year through the FY2016 federal spending bill that was passed in late December 2015. 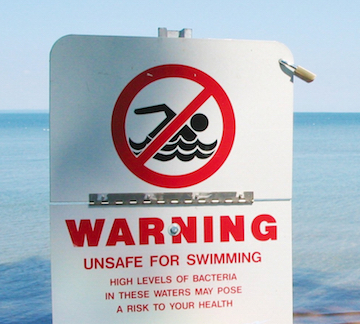 Since the passage of the BEACH Act in 2000, the EPA has been awarding federal beach grants to coastal and Great Lake States to pay for their beach water testing programs. The Administration, however, has proposed to eliminate all funding for this program three years in a row, leaving coastal states and the beach-going public to fend for themselves. Without federal funding for this grants program, we will see fewer beaches being tested and less often, the elimination of winter testing programs and possibly the loss of some state beach monitoring programs in their entirety. Fortunately Congress has restored the approximate $10 million program appropriation each year (FY2013 - FY2015), and they were willing to save program funding for FY2016 once more.